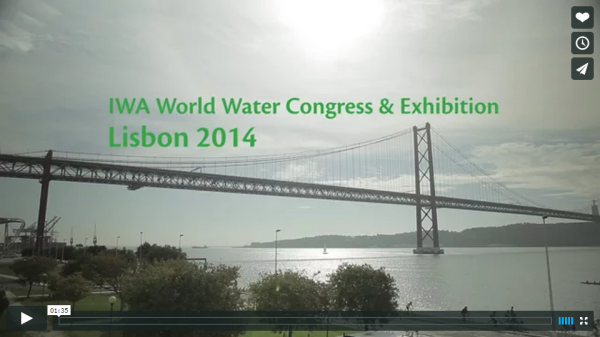 The IWA World Water Congress & Exhibition 2014 in Lisbon was a big success for Watershare®. 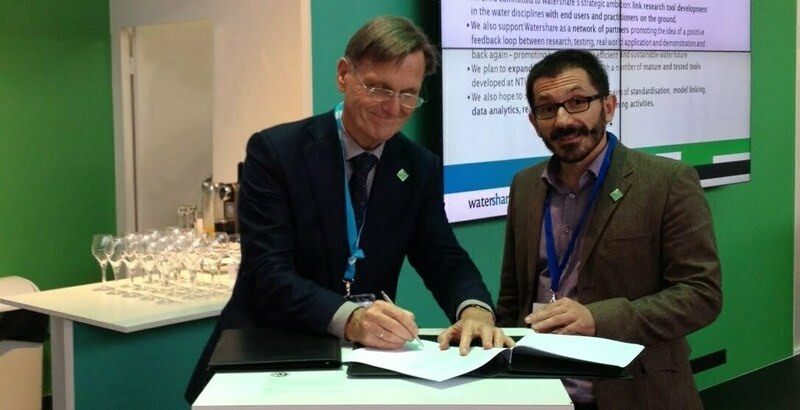 We took the opportunity of our principal sponsorship of the event, to again present Watershare® in a striking fashion to the international water community. 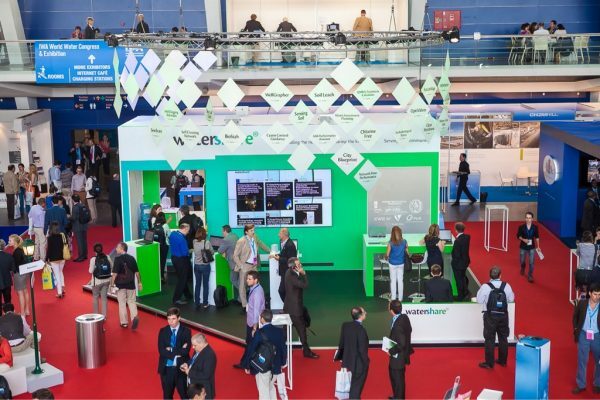 Watershare® was launched at the IWA Congress & Exhibition in Busan, South Korea, and was present in Lisbon with a total of eight members from Europe and Asia. Discussions with several representatives of utilities and knowledge institutes from all over the world have provided us with leads for the conduct of more detailed talks, in the aftermath of the IWA event, about how Watershare® membership can contribute to the solution of the practical problems faced by end-users. 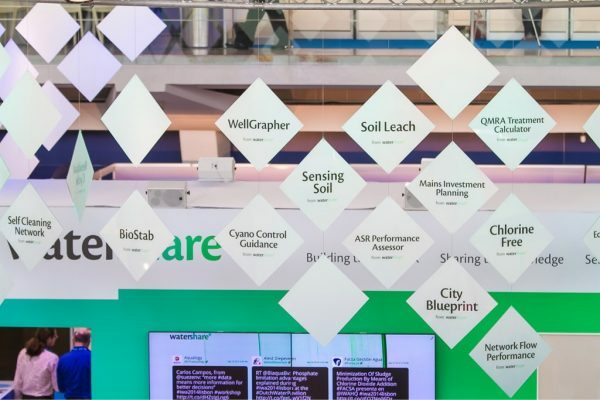 The Watershare® Suite of Tools consists of 23 tools. Fundació CTM Centre Tecnològic at Manresa (Spain) became member of the Watershare family. 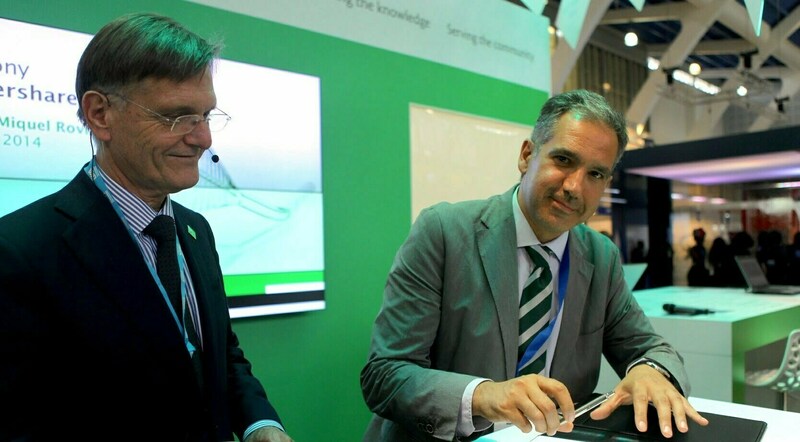 The agreement was signed today by CTM and KWR, founding father of Watershare®, at the IWA World Water Conference in Lisbon.